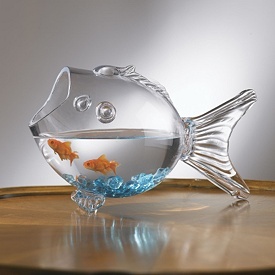 strength « Living Life in a Fish Bowl! Two scriptures got me through today. My deep need for Jesus to help was so very evident to me. I didn’t want to just “get” through the day. I didn’t want to waste today by grumbling. I wanted to shine for Christ! What about you? Do you realize your deep need for Him? Do you look for His help? This song says it all for me today. have you read Psalm 27 lately? Let’s look a few verses of Psalm 27. Salvation – I am grateful that God tells us today is the day of salvation. (2 Cor 6:1-3) I need Him today to save me – To save me from myself, from negative thoughts, from people who would do me harm, from the enemy of my soul who would try to destroy…. God is my strength. I need Him. He will give us wisdom to know what to do and strength to do it. We do not need to live in fear of tomorrow, of change, of things out of our control…. What is your desire? Do your actions adequately reflect this? God I want You! I want to be more and more aware of Your presence in my life. Seek Him. Take time to get to know Him. Read His Word. Apply His Word. Are you seeking God? For most of us, it could be more than it is. Some trails are clearly marked – some are not marked at all. Some trails are wide enough for 4 people to walk side my side. While other trails are barely wide enough for one person to carefully pass. Some trails are filled with stairs. What goes up must come down. While other trails are mostly level. The trails that drop off on both sides are the ones that make my heart skip a beat and find me forgetting to breathe. Recently, my husband kept telling me to just look at the trail, one step at a time, don’t look down, follow his footsteps………..
Life can be like that sometimes. Only we have God leading us, reminding us to take it one step at a time, to follow Him, to stay focused, to not look at the problem…. Is there a storm on your horizon? Maybe you are right in the midst of a storm. Life sometimes brings the rain of troubles knocking at my door, or the flood of overwhelming emotions rising up within me. Sometimes the winds of destruction try to knock me down or the rug is pulled out from under me slamming me against the wall. There have been times when all three seem to be happening at once. In each situation (rain, flood, wind) God replaces despair with hope. (Psalm 43:5) My faith increases with each situation because my life is built upon the Solid Rock of Christ. Whatever I face, I face it with God and in His strength. My hope is in Him. Outcome? Prayer changes things. Prayer makes a difference. The greatest change is in me. It draws me closer to God. Therefore, my corner of the world is better because of Jesus. Don’t forget a part of prayer is listening. It is in listening that I find God pouring peace into my heart. We may never hear the audible voice of God but He still speaks to us: thru His word, thru music, preaching, thru others, thru a sense of assurance, God even used a Dove Chocolate wrapper to speak to my heart. I encourage you to spend some time in prayer/communication with the One who loves you most.